The centre’s inability to complete the work on the newly-laid green turf at the Sports Authority of India’s(SAI) ground in Bengaluru has forced Hockey India to shift the national men’s hockey camp to New Delhi. The Indian team had to take part in the national camp commencing from 5th September 2015 at the SAI’s centre in Bengaluru. 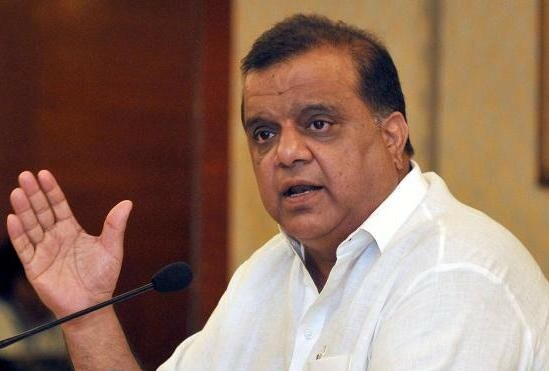 The President of Hockey India, Mr. Narinder Batra expressed his disappointment in the delay and said, “We were told that the turf would be completed and ready to use only by September 11 or 12. There was no way I would've postponed the camp. Thus, I had no option but to keep it in New Delhi” as reported by DNA India. Earlier this year, the SAI officials decided to lay out 2 new turfs at its centre in Bengaluru, one blue and one green turf. The green turf was supposed to be completed in June 2015 and will replicate the green surface used in last year’s FIH World Cup in Netherlands. But it overshot the deadline by almost 2 months and will get completed only by the end of 2nd week of September. The Indian men’s team head coach, Roelant Oltmans admitted that the Bengaluru would have been the much better-suited location for the national camp. He said, “We would've preferred Bengaluru because you don't have to worry about the travel time. That time can be used for different aspects like training sessions or fitness or team building. We like to go to Bengaluru, and it would've been ideal if we were there", as reported by DNA India. The Dutchman also expressed his concerns over the overall environment at the Bengaluru camp site and ensured that moving the camp was the best possible solution to the problem. The Indian team will start their preparatory camp for the Hockey World League Finals to be played at Raipur in November-December. The blue turf is also expected to be delayed by over 2 months and would only be completed by early next year, thus giving the Indian team only 5 months to get used to the surface that is to be used for the 2016 Rio Olympics. The Indian team is likely to face New Zealand in a 6-match test series in September end, pending the final clearance by Hockey India.